A new map point lights up in the borderless, imaginary continent of Eilean with the imminent arrival of patriarchs by ruhe, the moniker of multi-disciplinary artist Bryan Ruhe. In his work, he blends “tactile mediums with digital tools and technologies to create visually and aurally affecting hybrids” and “creates warm and fragile soundscapes using acoustic instruments, magnetic audio tape, sampled vinyl records and field recordings”, an M.O. 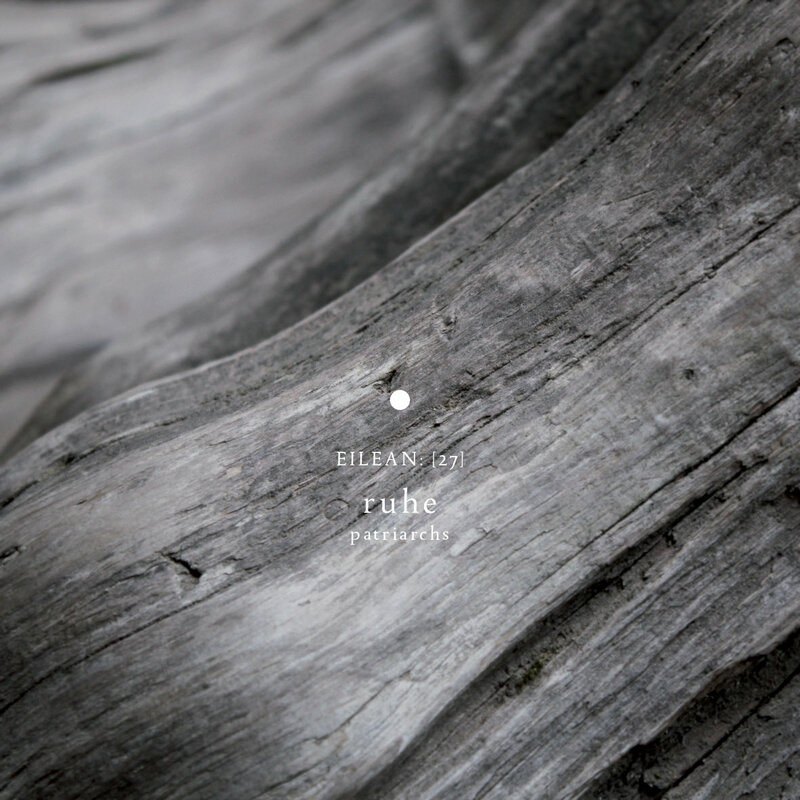 superbly implemented on this new record and eminently suited to the eclectic Eilean label. In patriarchs, ruhe has created a fragile, sepia-tinted world of sketches and vignettes centered around piano and voice bound together by gossamer ambient fabric. Some of the most arresting moments arise from collaboration, notably the chorale flavor of ‘Felled’, which features additonal work by Mark Kuykendall (New Honey Shade, Unknown Tone), and the exquisite interplay with Nobuto Suda on ‘Restoration’. In the liner notes Ruhe states that patriarchs “is for all who yearn for rest” and its delicate textures and aura of hushed stillness provide the gentle solace to fulfill that yearning. It weaves its own oneiric web, an autumnal dream that gives refuge far from the madding crowd. patriarchs was mastered by Ian Hawgood (Home Normal) and like all Eilean releases, it is offered in a limited run on CD packaged and numbered by hand (150 copies). Almost every release sells out and usually rather quickly, so a prompt pre-order is highly recommended.